Would you like to volunteer abroad and help people with diabetes? I came across this group at a diabetes conference and not only do they have an interesting story but they also offer people with diabetes an interesting opportunity to volunteer abroad with people with diabetes. 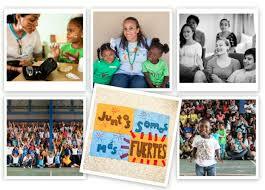 They are called AYUDA; American Youth Understanding Diabetes Abroad. The organisation was created in 1996, by two teenagers, Nick Cuttriss and his friend Jesse Fuchs-Simon. They were 14, when they met José Gabriel, an eight year old boy who lived in Quito, Ecuador. José Gabriel, was six-months-old when he was diagnosed with type 1 diabetes in 1984. Eight years later, despite spending most of the family's income on his diabetes supplies, José's parents saw his health decline again. In an effort to understand what had gone wrong, José's family raised money for him to travel to see a diabetes specialist. They discovered José and his parents had never received guidance regarding the management of the boy's condition and that José's blood sugar levels were not being managed correctly. For José and his parents, and for many other young people with diabetes, particularly in developing countries, the lack of diabetes education is as dangerous as a lack of insulin. Nick and Jesse envisioned a youth-led organization that would educate young people with diabetes about diabetes issues, and help empower them to work effectively for positive change. AYUDA's initial objective was to help with the need for basic diabetes education in Ecuador.Volunteers set up diabetes support groups in the corridors of a public hospital in Quito. These groups offered educational workshops and provided a forum for knowledge sharing. Since 1996, they have also recognised that the cost of diabetes supplies was making it impossible for many children in developing countries to manage their condition optimally and so they set about creating and managing diabetes supply banks. It costs approximately 3000 USD per year to care for a child with diabetes; the average income for a family of four in many Latin American countries is less than 1000 USD per year. With the help of partners such as Insulin for Life, AYUDA works to ensure that families with limited resources receive essential daily supplies, such as insulin, syringes, and test strips at subsidized prices or free of charge. For more information on AYUDA and volunteering opportunities, visit the website at www.ayudainc.net or email info@ayudainc.net. They are now accepting applications for their 2016 projects in the Dominican Republic. I'm hoping that, by now, a lot of you have heard about Thrive-abetes? Thrive-abetes is a conference that I am, up to my neck, involved with. And it's very exciting! I can't wait to be in a room with 100 other adults with type 1 diabetes!!! Thrive-abetes ; The Thrive with Type 1 Diabetes Conference and Exhibition is a one day conference for parents of children with diabetes and for adults living with type 1 diabetes. It takes place in Maynooth, Co. Kildare on Saturday the 3rd October 2015. What is Thrive-abetes going to offer? "Thrive-abetes" is a first-of-it's-kind event in Ireland - a conference organised by people with type 1 diabetes for people with type 1 diabetes! This Type 1 Diabetes conference is going to focus on the psychological impact of living with a chronic, lifelong illness. We aim to provide “Inspiration, Motivation and Information” to people living with type 1 diabetes, both parents of children with diabetes and adults, at our conference. Our speakers include internationally renowned diabetes healthcare professionals, living with type 1 diabetes and nationally recognised diabetes healthcare professionals. View our conference programme here. Conference tickets cost €35 per person, or €60 for two tickets. Registration is open through this link https://thrive-abetes.eventbrite.ie. Lunch and refreshments will be provided to all delegates. More details about the Thrive-abetes schedule is available from http://thrive-abetes.blogspot.ie/ or by sending an email to thriveabetes@gmail.com. If you are interested in making a weekend of it The Glenroyal Hotel has a discounted rate for all Thrive-abetes Delegates plus a number of rooms blocked off for the conference. When you are booking you must quote Delegates Reservation No 172691. interested Room rates are available here.